Before trying something new, any sensible person usually asks whether or not the product in question is safe to use. We obviously don’t want to do anything that would cause our body harm right? When it comes to snoring mouthguards, there has been quite a bit of buzz surrounding this topic. After all, it wasn’t until recently that you could purchase a MAD or TSD on the internet without ever seeing a doctor. Technically speaking, they are still considered a class II medical device by the FDA and require a prescription to obtain. It seems as if overnight one DIY product after another began to surface on the internet, all promising you the best night sleep ever. Some devices were developed by actual doctors who specialize in sleep medicine, some by dentist and orthodontist while others were simply inventors looking to capitalize on the latest trend that everyone is talking about. Whatever the case may be, a flood of new devices has entered the market, causing concern for some who use buy them. Are snoring mouthguards really dangerous? There 2 types of sleep apnea – Central and Obstructive. Central sleep apnea involves a disruption of signals from your brain which tell your lungs to breath. As a result, breathing while sleeping will stop for a period of time. Central is less common but much more serious than OSA. Obstructive sleep apnea is more prevalent and also a serious medical condition that can lead to conditions such as high blood pressure and stroke. It involves an actual airway obstruction that prevents air from making its way through to the lungs. People who have been diagnosed with this condition are often issued a CPAP machine which actually provides constant air pressure to keep the airway clear. For simple snoring, mouthpieces are a great choice. However, what if you actually do have a more serious sleep disorder such as sleep apnea? How can you tell the difference between the two? 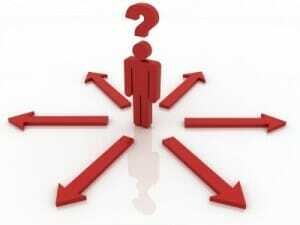 This is where many people become confused and often make a bad decision. Before going the self-treatment route, it’s a good idea to first speak with your doctor and see what he or she has to say. If your doctor suspects sleep apnea, they may perform a sleep study to eliminate the possibility of a condition such as OSA or CSA. Can you use a mouthpiece to treat sleep apnea? 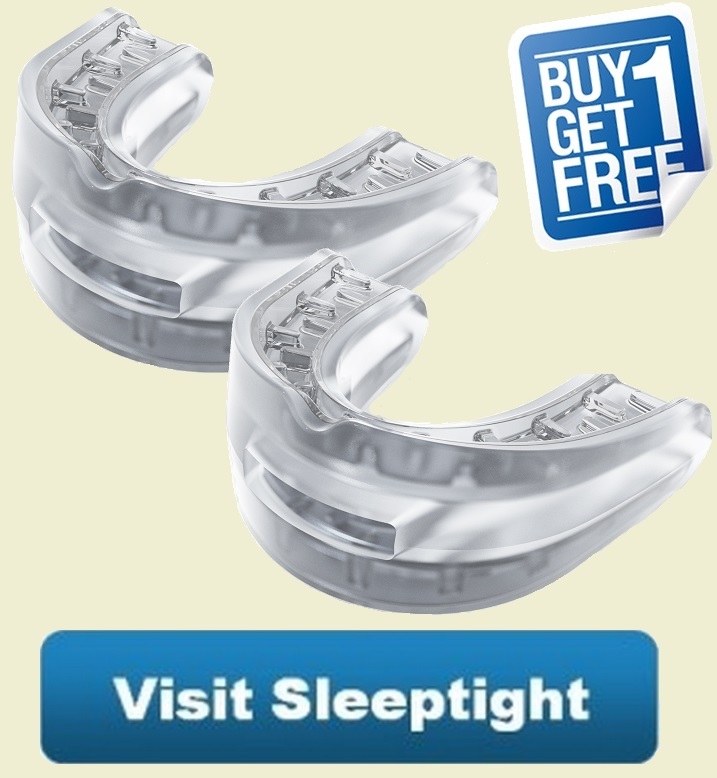 In some cases, people have successfully treated their obstructive sleep apnea with a mouthguard. Using a snoring mouthguard to treat OSA should only be attempted under the supervision of a doctor. Self-treating OSA using one of these devices is of course not a good idea. Knowing the underlying cause of snoring is extremely important before treating it. Snoring is no laughing matter and should be taken seriously. Before using any oral appliance, first, speak with your doctor in order to determine if there is an underlying issue causing your snoring. There are over two dozen do-it-yourself mouthpieces to choose from. Some have special features while others are quite simple. The “SleepTight” is a product that I have tried and can recommend because it has several desirable features at a reasonable price. Its most notable features include a larger air hole at the front and grooves that are incorporated into the tray which helps to create a tighter fit. For mouth breathers, an opening that provides adequate airflow is necessary and the SleepTight has the largest opening that I have seen in a mouthpiece. Read my complete review of the SleepTight. Sports mouthguard vs snoring mouth guard – Is there a difference? Nitetronic GoodNite Anti-Snoring Pillow Product Review – Can An Inflatable Smart Pillow Really Prevent Snoring?